Social media has a great influence on online marketing. This is primarily because of the tremendous reach of this medium. You have websites like Facebook, Twitter, LinkedIn, etc playing their part to perfection. You have a new entrant from the social media making its entry into the online marketing and Local SEO. Yes, we are referring to the fastest growing social media channel, Pinterest. Images can speak better than words. Hence, it is always on the cards that a social media channel like Pinterest that relies more on transmitting messages through images to have a field day. The day has finally arrived on Pinterest really making great inroads into local SEO. 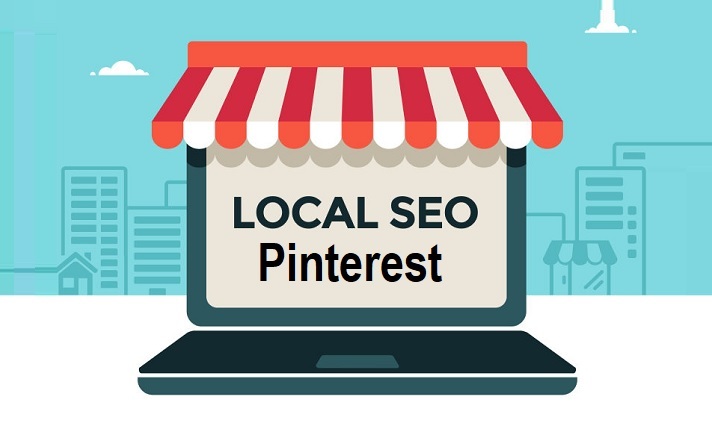 Let us look at how businesses can use Pinterest for local SEO. Experts at citation websites like Tribe Local can help you use Pinterest for local SEO. We shall share some tips for local businesses before shifting our attention to the best offering from Pinterest, “Place Pins”. Many people have the habit of hiding their profile from search engines. This should not be the case when you wish to use Pinterest for local SEO. Never hide your profile from the search engines. Your description should have the primary keywords along with the business name. It is also prudent to use the name of your city when setting up your location. Hence, your profile should like ‘best family attorney in Dallas TX’. Notice that this profile contains your business identity as well as your city. Use the name of your city in your URL while connecting with your Facebook and Twitter accounts. Using Pinterest’s profile website instead of your company website as your review page is advantageous. This should help your review page to rank for name searches. When you collect pictures from your area, set up the boards along with your city name. It is always better to use the name of your city after your business type, services, or products. A heading such as ‘automobile service center in Dallas TX’ will help rank higher than a simple description without the name of the city. When including photos, ensure that they contain the name of your city somewhere. This is helpful to rank higher on the SEO. Do not hesitate to follow other Pinterest users in your local area. Ensure to follow the boards related to your area of interest. Use high-quality pictures on your Pinterest boards. Pinterest is a highly visual medium. It is imperative that the pictures should be of the highest quality. Use proper keywords while describing your locally-named board. Many businesses have the habit of posting only a single photo. This is not enough. Post more than the photo. This can be related to your business or even simple plain sightseeing spots in your city. Using landmarks is the best way to go about it. There will be other people posting on Pinterest. Liking their photos is also a good way of engaging with them. One positive vote leads to another and suddenly you have a handful of them. One of the best ways to advertise your business services is to have quality Infographic content. Connect it to Pinterest. Ensure that the content relates to your areas of business. You might be using Flickr to post your images on the social media. Use the same Flickr URLs for posting these images on Pinterest. This has a dual effect. It could optimize your Flickr pages further and rank well in the local SEO searches as well. Utilize the services of your Facebook and Twitter accounts to cross-promote your Pins. Pinterest has recently added “Place Pins” to its repertoire. These place pins have great use in inserting your placeholders on your GMB listing page. Pinterest Place Pins present a perfect opportunity for various industrial sectors such as restaurants, hotels, and other hospitality connected industries. They can attract a massive audience. Searching for the best hotels in town becomes easy when you use Place Pins along with your name, address, and telephone numbers. Let us see how to use Place Pins for local SEO. Log in to your Pinterest account and head over to your board. If you do not have one, create one using high-quality pictures of your business locations. Select Edit on the location board where you would like to showcase your Place Pins. On the edit board, select the option, Yes to add a map. Save the changes and proceed. Go back to your board and select the Cover photo on your location. This will direct you to a new Pinterest map. You can either add an existing pin or add a new pin. Enter the address you are searching for. On locating it, click, Map it. Place the pin on the map. Select it to expand. This will allow you to edit your pin. Change the URL on the default source page to your URL. This helps you to place your pins and use Pinterest for your local SEO.